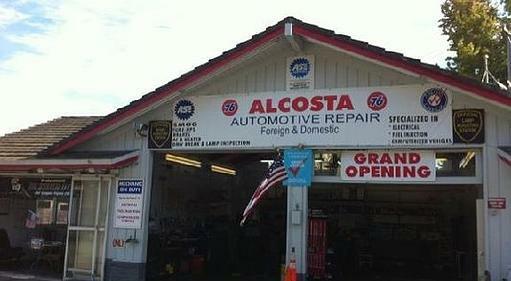 Alcosta Automotive Repair is your source to complete automotive maintenance in San Ramon, CA. For several years, we have been providing quality auto care and smog check services for families in San Ramon, CA and surrounding cities, including Dublin, Livermore, Pleasanton, Danville, and Alamo. We provide a wide range of auto maintenance services most makes and models. Our auto experts ensure that your ride is safe and road-ready in no time! 3 MONTHS OR 3,000 MILES ON PARTS AND LABOR. NO WARRANTY ON CUSTOMER OWN PARTS. "my first venture into using openbay and this repair shop. I was very pleased with the ease and operation of the openbay service. 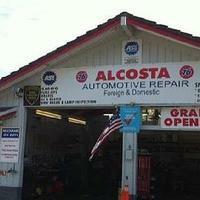 the repair shop was fine and my service was completed on time with no issues. the entire transaction was organized well and the staff answered all of my questions and were very polite. " "Staff was very friendly and helpful, specially Angel! Thanks for the great service! Quick and reliable. " "In and out. Fast oil change. " "Knowledgeable and friendly. Great price "
"A pleasant surprise. They got me in and out quickly." "This place did a great job, very fast service, honest and a good deal, i highly recommend. " "Every time we go to this place, we receive excelente customer service. I surely recommend this place." "Real professionals and real price. Explains every trouble in a vehicle in simplest way and clearly communicates with car owners. Very fair and easy place to go with your car problems." "Service was worse than other repair shop. I don't want recommend this place. Technicians are not kind and over charge. Differently, you will regret lf you have a service for your car." "Their smog check is way over priced, however they do explain exactly what needs to be done to get your car fixed."